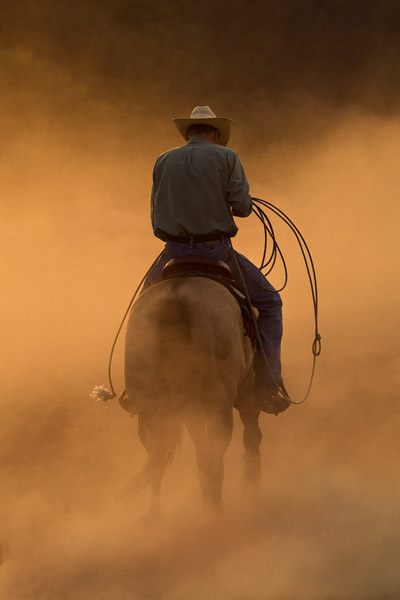 Even a swirling dust storm doesn't stop a dedicated, hard-working cowboy from doing his job. He's accustomed to whatever the elements may throw at him on the ranch. With a rope in his hand, this cowboy and his horse will be hoping the dust settles soon.